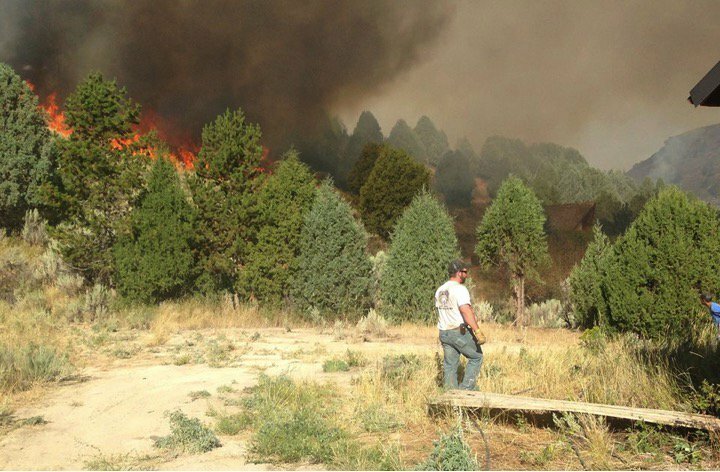 When a raging fire broke out in Henry’s Creek near Idaho Falls, Bruce and Jeanette and Empey feared the worst. 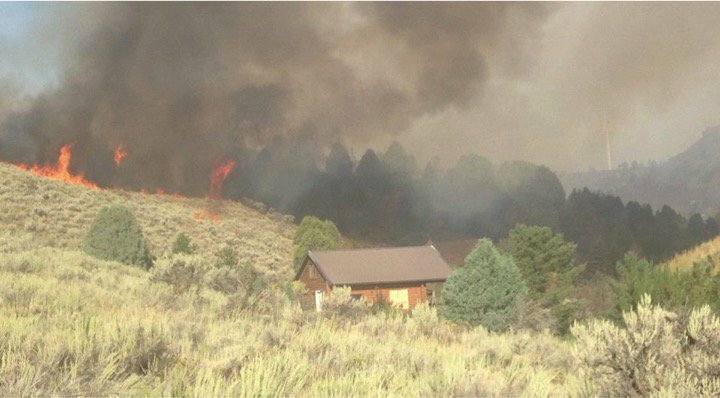 It seemed certain that the fire — which consumed more than 50,000 acres already — would destroy the family’s ranch entirely. Still, the faithful family prayed for divine intervention. And not only was their property miraculously spared, but a mysterious angelical figure shows up in the smoke, as well. The picture above is one Bruce took of the Henry’s Creek fire as it headed straight for their family ranch. 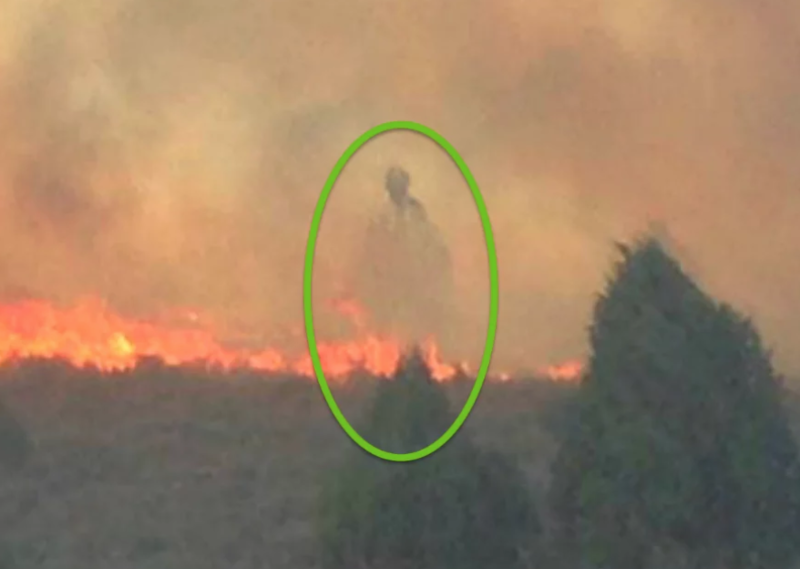 Jeanette has named the photo “The Fireman’s Guardian,” and it’s gone viral since she shared it on Facebook with many believing this could be Jesus watching over them. For the Empey family, the mysterious figure just confirms their property was spared thanks to Jesus. Bruce and his son then went up to a cliff overlooking the ranch, resigned to the fact they had no choice but to watch it burn. While the family expected to lose everything, they prayed for a different outcome. Their prayers were answered the next morning! When they returned to check on the ranch, they discovered the fire hadn’t touched any of the property. “The cabins hadn’t burned! They were saved!” Jeanette said. But the danger was not over yet. The winds started to roar and the flames began raging once again. Jeanette received a text saying the fire was a mere 15 feet from their cabin. Again, the family prayed together and the property was spared again. It was that day, as Bruce and his son waited for the flames to overtake the ranch, that he snapped the photo that’s now become famous. And many agree the mysterious figure is a definitive sign that God and His angels protected the Empey family that day. 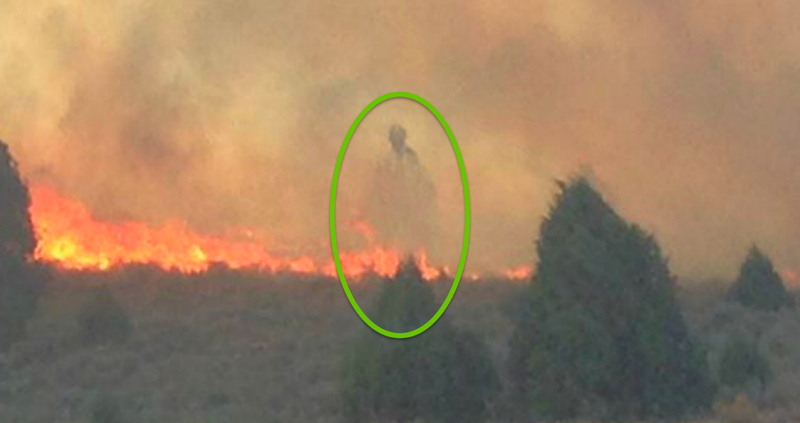 What’s your take on the mysterious figure? Do you think it was Jesus? Previous article2,000 CHRISTIANS PARTICIPATE IN INCREDIBLE FLASH MOB FOR JESUS!